Hi, sorry, I’m a little late with the final wrap-up for the Greatest Film I’ve Never Seen Blogathon. I was waiting for the holiday to pass to allow for more late submissions. The Wonderful World of Cinema is happy she chose The Man With the Golden Arm, particularly because of Frank Sinatra’s jaw-dropping performance. 18 Cinema Lane decides the Hallmark Channel’s The Christmas Card doesn’t quite hold up … Continue reading Greatest Film I’ve Never Seen Blogathon – Final Wrap-Up! The Greatest Film I’ve Never Seen Blogathon is Here! The Greatest Film I’ve Never Seen Blogathon has arrived! Bloggers: When your post goes live, leave the URL for your post in the comments section here or under the original announcement post. You may also send it to me via Twitter. My handle is @DebbieVee. I will do daily recaps, but will also collect all the URLs in this post as they come in. You … Continue reading The Greatest Film I’ve Never Seen Blogathon is Here! The Greatest Film I’ve Never Seen Blogathon Begins Tomorrow! 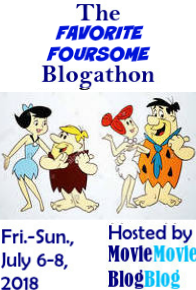 Tomorrow begins the Greatest Film I’ve Never Seen Blogathon! There’s till time to join in! It runs from Friday, November 16 – Sunday, November 18. If you want to join in, leave a comment here or under the original post, or contact me on Twitter (my handle is @DebbieVee). Looking forward to an epic event! Continue reading The Greatest Film I’ve Never Seen Blogathon Begins Tomorrow! The Greatest Film I’ve Never Seen Blogathon Starts Soon! There’s still plenty of time to sign up for the Greatest Film I’ve Never Seen Blogathon! The event begins Friday, November 16 and runs through Sunday, November 18. If you want to participate, leave a comment here, under the original post, or contact me via Twitter (my handle is @DebbieVee). Looking forward sharing the experience of seeing great films for the first time! Continue reading The Greatest Film I’ve Never Seen Blogathon Starts Soon!